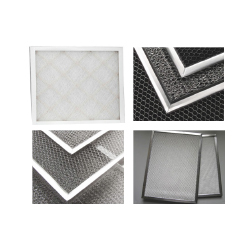 Standard and replacement filters are available for use with Aldes Light Commercial Heat and Energy Recovery Ventilators. Filter compatibility varies by model. Sold in sets of two and three. See specifications sheet for details.